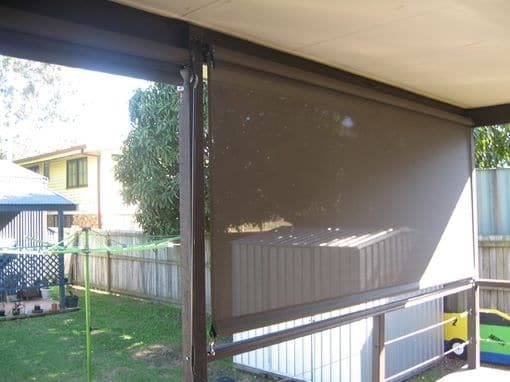 Looking for the best outdoor blinds Gold Coast? Well you’ve come to the right place. 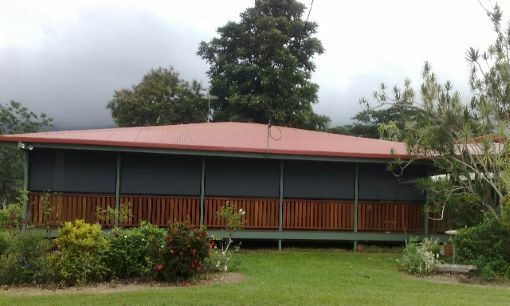 We have been installing outdoor blinds for Gold Coast residents for over 21 years. Why invest in Outdoor Blinds? Outdoor Blinds are a great way to protect your outdoor living area from the elements. There’s nothing worse than a BBQ spoiled by rain, a family gathering ruined by the hot sun permanently streaming into the area, or nosy neighbours viewing right into your backyard. 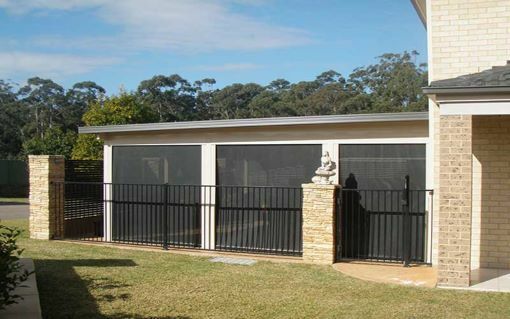 Patio blinds can help you keep the elements out and add privacy to your outdoor area while allowing you to still enjoy the outdoors and the beautiful weather the Gold Coast has to offer. 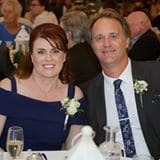 No matter what your purpose, Outdoor Blinds, Patio Blinds, Privacy Blinds, Cafe Blinds. 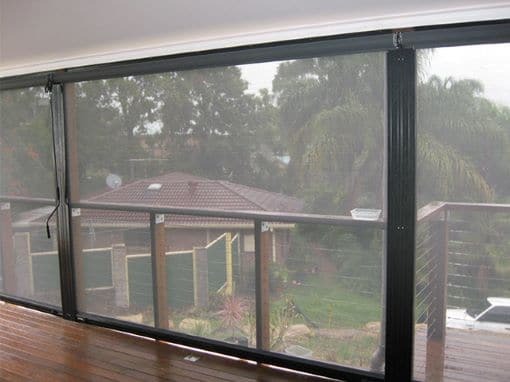 Gold Coast Patios & Blinds can help you with your requirements. 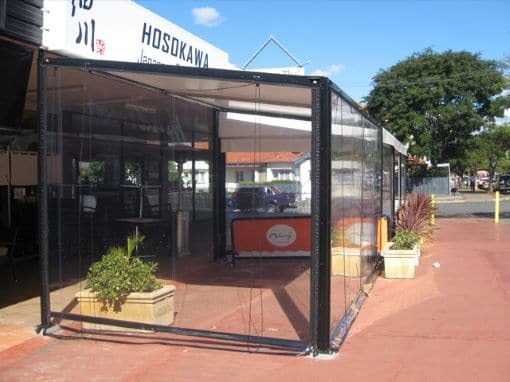 Channel X Outdoor Blinds have a lockable bottom bar making them a sturdy enclosure. Depending on the position of the blind, you can create another room or partially open area. Installing Patios Blinds saves on heating and cooling costs. Whether you’re after a motorised blind or a manual blind, the Channel X is one of our biggest sellers with it’s sleek and aesthetically pleasing finish, and ease of use. The perfect Outdoor Blind for summer. 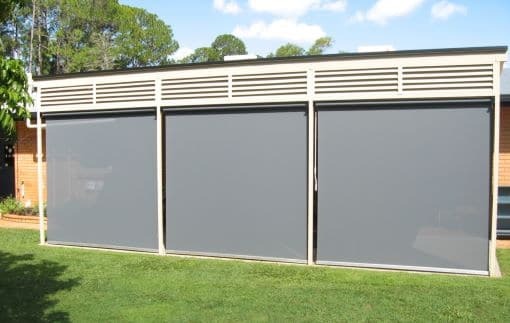 Our Geared Roller outdoor blinds have no cables, no pulleys or strings, and no channels. They can be fitted between posts on the inside or the outside, or fitted behind a bulkhead to be out of sight. Clip into place with the stainless steel clips and then tension it off with the removable handle. The Channel Guide Spring Loaded blind is the perfect blind for anyone on a budget who is still after a great blind. A simple twist of the bottom bar releases the blind to be lowered or raised and a second twist locks it into any position along the tracks. This outdoor blind is simple and easy to operate while maintaining all the aesthetic features of the Channel X. Outdoor blinds bring beautiful homes into harmony with the environment, allowing just the right amounts of light and exposure in just the right directions. In addition to the added touches of style and complementary colours, outdoor blinds can provide privacy and save on heating and cooling costs.